Check out the recap from the second consecutive conference win here, a 92-77 triumph, after ending a 55-game league drought on Tuesday. 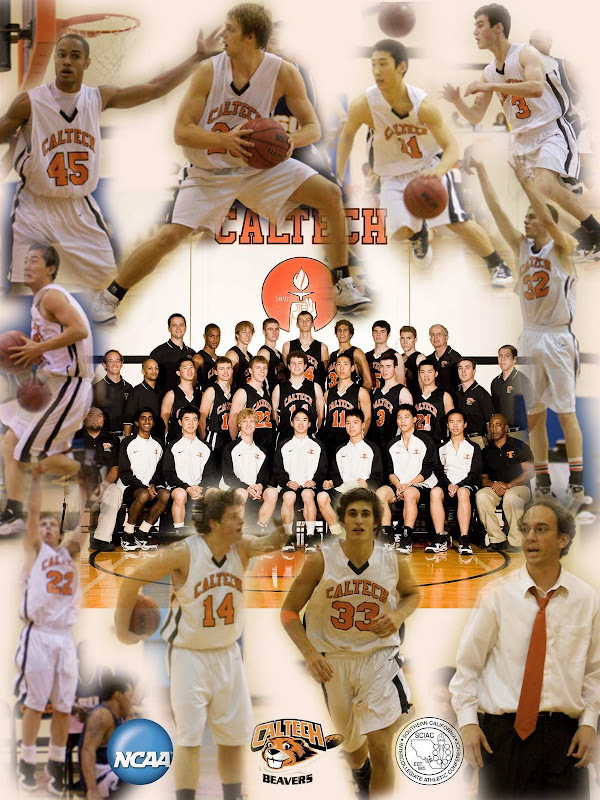 It's the first time Caltech won back-to-back SCIAC games since 1953-54. The historical victories earned the team an appearance on the front page of caltech.edu. Kc Emezie was named SCIAC Athlete of the Week for his performances last week. He scored 21 points, including the game winner on Tuesday, and had a solid 15 points in the big victory on Saturday. You can vote for him as D3 Stud of the Week here. Rob Anderson was named to the Allstate NABC Good Works Team for his work on sustainable energy. He is invited to attend the NCAA Division I Final Four and participate in a number of community activities. Caltech was mentioned on d3hoops.com (scroll to second header) and had a feature by Tony Moton appear in the Pasadena Weekly this week. Coach Eslinger also appeared on Hoopsville this past Sunday. For the recap and videos from the recent SCIAC win, go here!